Ships Friday, April 26 if ordered in the next 1 hour and 12 minutes! What makes Platinum Multi-Vitamin unique? 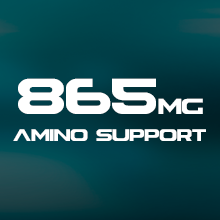 Platinum Multi-Vitamin packs high-potency vitamins and minerals into each serving. 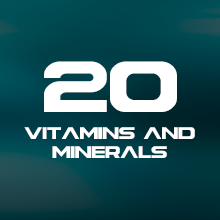 Platinum Multivitamin has been engineered to deliver 20 vitamins and minerals, including antioxidant vitamins C & E to support general health. 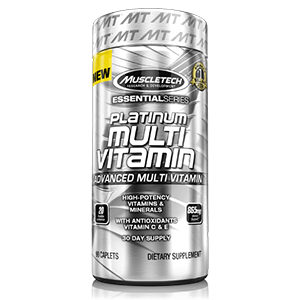 Review "MuscleTech Platinum Multi-Vitamin Supplement - 90 Count "